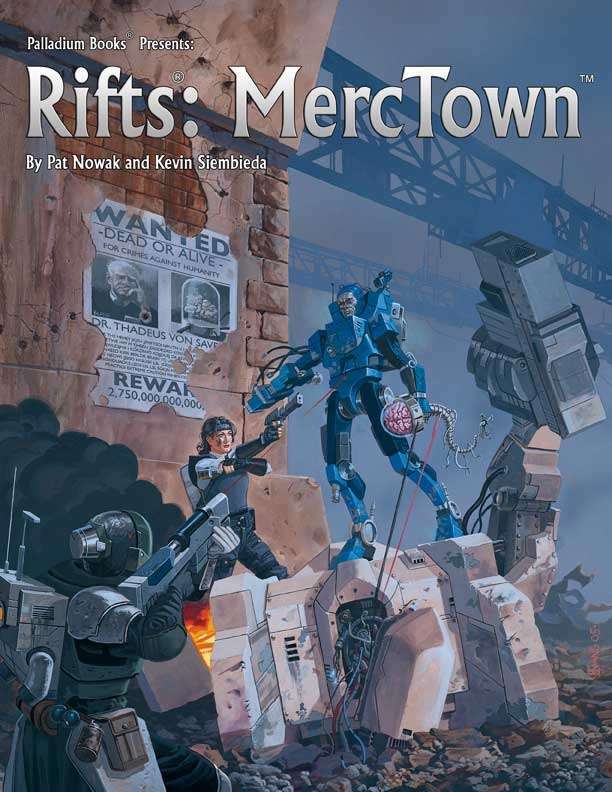 A city created by mercenaries for mercenaries, MercTown is a gamer’s dream. The entire city-state is mapped and described. Key villains, heroes, movers and shakers described. Naruni Enterprises, arguably the most infamous weapons dealer in North America, is headquartered in MercTown, but virtually every weapons manufacturer has a showroom in town – Northern Gun, Manistique Imperium, Wellington, Golden Age Weaponsmiths, Wilk’s, Bandito Arms, the Techno-Wizard weapons of Stormspire and the Colorado Baronies, and much, much more. A perfect launch point for every kind of adventure imaginable. Places for mercenaries to find work, resupply, and have fun mercenary-style. 204 key locations – each a potential catalyst for adventure. The Mystic Quarter offers magic weapons, potions and more. The gang-infested Warrens offers discounts on weapons, bionics and vice. The Hub and its banks, casinos and every weapons dealer on the continent welcomes mercenaries and adventurers. Street gangs, the Black Market, a Thieves’ Guild, merc companies and more. 160 pages written by Patrick Nowak and Kevin Siembieda.